Cameron is a well known and respected figure in organized real estate in the U.S. His background includes almost 15 years combined experience as the top executive for an MLS and an Association. 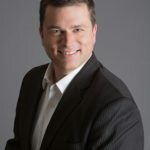 A regular featured speaker, panelist, and moderator at industry conferences, Cameron has been recognized by Inman News as one of the "Top 100 Most Influential People in Real Estate" and brings unique perspective and insight to business trends affecting real estate. How can we improve on it and make it the true foundation of cross-market insight?